Bahá’u’lláh’s pen — perhaps among the most enigmatic and mysterious of objects in the world of creation. A simple reed pen — qalam, in Arabic — held between the fingers of the Manifestation of God or by His amanuensis, served as the instrument through which a new revelation of the divine Word flowed and was delivered to the world. A pen that bears witness, calls out, weeps, and groans. A pen that raises its voice between earth and heaven. A pen that swoons away at the power of the words it renders. A pen so closely identified with the process of revelation, the creative function of the Manifestation of God, that it comes to symbolize the Manifestation Himself: the Manifestation becomes His Pen and the pen becomes that marvellously gifted instrument through which He reveals the Word of God to humanity. In His Suriy-i-Qalam, or Surih of the Pen, Bahá’u’lláh has revealed a work that is both a probing meditation on and a powerful dramatization of His assumption of His prophetic mission as the Pen of Revelation. Throughout the surih, the reader is privy to a series of interchanges between Bahá’u’lláh as that Pen of Revelation and the Divine Voice that commands the Pen to write, and also, as the surih progresses, between Bahá’u’lláh as Pen and His muse, the Maid of Heaven. The intensity of the utterance, the tone of immediacy sustained throughout, together with the frequent shifts in mood and voice, as the Divine Voice speaks to the Pen, may give readers the sense that they are present at the very moment of the revelation of this surih. The extraordinary self-consciousness with which Bahá’u’lláh reflects in it upon the revelation He is receiving, and His re-enactment, at the end of the surih, of His encounter with the holy spirit in the form of the Maid of Heaven, makes this surih one of the most powerful evocations of Bahá’u’lláh’s assumption of His prophetic mission currently available to readers of English language translations of Bahá’u’lláh’s Writings. Little is known about the date or circumstances of the revelation of this surih, but the various references within it to the Festival of Ridvan, together with its largely celebratory tone and theme, suggest that it was written in commemoration of this occasion. Moreover, the exuberance with which Bahá’u’lláh celebrates His Pen in the surih, suggests that it might be located in the Edirne period, the five years of almost mind-boggling productivity that immediately followed His declaration in the Garden of Ridvan. His preoccupation with the “unbelievers” further links this surih to the Edirne years, during which Bahá’u’lláh was subject to growing opposition from members of His family as He began to assert His divine authority in a more public way. It was in Edirne that the break with His half-brother, Mirza Yahya, became known to the community; and it was in Edirne, that, as the machinations of His enemies escalated to an unprecedented level, attempts were made on His life, one by a poisoning from which His health never fully recovered. The flight of Bahá’u’lláh’s mind and soul as He moves between earth and heaven, human being and Manifestation, the Pen and the Divine Voice which, until the end of the surih, communicates the revelation the Pen is receiving, generates a complex and ever shifting web of perspectives that can make this surih challenging for the reader. Bahá’u’lláh speaks as the Pen and also sets down the words revealed by the Divine Voice to the Pen. In other words, we read the words of the revelation Bahá’u’lláh is receiving from the Divine Voice, words of assurance and confirmation regarding His divinely ordained mission, and we also read Bahá’u’lláh’s words of guidance to humanity as He takes up that mission. To add to the complexity of the surih, the metaphor of the pen is given further richness of meaning by the other metaphors employed to describe Bahá’u’lláh and His revelation, in particular, the metaphors of light and of unveiling. As in the modern novel or in a poem for voices, points of view shift as different voices take up the theme of the surih. However, the structure that emerges from the interplay of voices is perhaps best likened, to draw upon another literary analogy, to the five act play. But the unfolding dramatic action of this surih does not follow the conventional pattern of the five act play, with its prologue, conflict, rising action and climax, falling action, and denouement. Rather, the Surih of the Pen enacts a divine drama in which the Pen moves from doubt to certainty, from grief to exaltation until, in the final act, it achieves union with its muse, the Maid of Heaven, the holy spirit that serves as the divine source of the Pen’s inspiration. Through but one of His effulgences the Day-Stars of majesty and grandeur have shone forth, the hearts of the denizens of the everlasting realm and the sanctified realities that lay hid beneath the mystic veil have been called into being, and the secrets of all that was and shall be have been laid bare. O Pen! Let nothing dismay thee, for unto thee have We vouchsafed the inviolable protection of Our sovereign might and power, and into thee have We breathed a spirit, one breath of which would, if wafted upon the bodies of all existence, cause them to arise from their couches, unloose their tongues, speak forth, and bear witness in their inmost being that there is none other God but Me, the Powerful, the Glorious, the Exalted, the Mighty, the Peerless, the All-Subduing, the Self-Subsisting. Say: This is a Power unsurpassed from all eternity to all eternity, could ye but know it, O concourse of the Spirit, and this is a Beauty unrivalled from the beginning that hath no beginning, could ye but perceive it. Say: Whoso conceiveth the least design to confront this Pen, to presume partnership with it, to gain intimate access unto it, or to fully grasp that which emanateth from it, be assured that the Evil One doth whisper within his breast. O Pen! Give ear unto that which the unbelievers have imputed to thee. Say: O assemblage of malice! Perish in your hatred, in your envy and your unbelief! By Him Who is the Eternal Truth! This is that Pen through a mere intimation of whose will the souls of the Concourse on high, and the realities of the denizens of the everlasting realm, and the essences of human hearts and minds, were all fashioned. This is that Pen through but a movement of which the sun of might and grandeur, and the moon of loftiness and sanctity, and the stars of grace and favour, were called into existence. This is that Pen through which were created the all-highest Paradise and all that abide therein, and the celestial garden and all that pertaineth thereto, could ye but comprehend. O Pen! Content thyself with that which thou hast so far intimated to the world of thy sovereignty and power, for the hearts of the envious are well-nigh bursting. Veil, then, thy Cause, and reveal no more than this, for thy words would rend asunder the heavens of ancient glory, and cleave in twain the earth of holiness itself, and cause the inmates of the realm of grandeur to swoon away. Be patient in thy heart, for the people of the world are incapable of beholding thy sovereignty or perceiving thy manifold signs or perceiving thy manifold signs, how much less of recognizing Him who hath created thee through but a single word of Hs Utterance! . . . Should all that are in the heavens and on earth and whatsoever lieth between them — whether trees, fruits, leaves, twigs, branches, rivers, oceans, or mountains — encounter a single word of thy pronouncement, they would assuredly speak forth that which the Burning Bush, springing from the soil of divine revelation, spoke unto Moses in that holy and blessed Vale. Call then upon the Concourse on high to rejoice, saying: O ye exponents of grandeur sheltered beneath the tabernacle of majesty! O ye denizens of the dominion of power abiding beneath the canopy of glory! O ye dwellers of the kingdom of the seen and the unseen situate in the furthermost precincts beyond the ocean of eternity! O ye manifestations of the divine names in the highest heaven! Let your hearts rejoice in this Most Great Festival wherein God Himself proffereth this most pure chalice unto such as stand before Him with beseeming lowliness and humility. The commemoration of the Festival of Ridvan lies at the heart of this surih because it is on this occasion, that of His declaration, that Bahá’u’lláh becomes, at least in the eyes of the world, identified with His Pen. Although fully empowered before His declaration, His Pen might be said to be inactive, or in a condition of potentiality. Only with Bahá’u’lláh’s declaration is His Pen activated and launched on its mission. The Festival of Ridvan, therefore, represents what might be viewed, in the context of our drama metaphor, as the climatic scene in which the Manifestation, by taking up His Pen, becomes identified with His revelation, and, therefore, the embodiment of the Logos, or Word of God. Say: This is the Light through which the inhabitants of the celestial world and their inner realities have been brought forth, and through which the embodiments of the heavenly realm and their inmost essences have been raised up. This is the Light through which God hath created worlds that have neither beginning nor end, worlds whereof none hath the slightest intimation save those whom their Lord hath willed. Thus do we disclose unto you the hidden mysteries, that haply ye may ponder the signs of God. Say: This, verily, is the Light before whose effulgence every head hath bowed down in lowliness, and before whose manifestation the hearts of the well-favoured of God, and the souls of His holy ones, and the inmost realities of His true worshippers, and beyond them His honoured servants, have prostrated themselves in adoration. The Divine Voice itself takes up the announcement in the final two passages of the third act of the surih, informing the “inmates of the holy Sanctuary” that the Pen, Bahá’u’lláh, has shifted the spiritual center of the world to a new Qiblih, a new Point of Adoration. Bahá’u’lláh is, the Divine Voice affirms, the “Sanctuary of God amongst you and His sacred precinct in His midst, the holy site of the Spirit before your eyes and the Station of both inner and outer peace and security.” All, therefore, should undertake a pilgrimage to Him, or, if such a pilgrimage is not possible, should approach Him by means of the purification of their hearts and souls. O Pen! Proclaim unto the concourse of eternity, saying: O ye that rove in the arenas of immortality! O ye that abide beneath the tabernacle of grandeur! O ye gem-like realities that lie hid from the eyes of creation! Descend from your lofty retreats to celebrate and rejoice, and to quaff from the cup of everlasting life that the hand of the All-Glorious is proffering on this Day. This, in truth, is a Day the like of which hath never been witnessed in all creation. . . . In the final section of the surih, the divine drama reaches its climax as the Pen engages in a dialogue with the Maid of Heaven or holy spirit, a dialogue that serves as a kind of re-enactment of the declaration made by the Pen on the occasion of Ridvan. Here, the Pen merges, at last, with its source of inspiration, the Maid of Heaven, who unveils and reveals herself as the “black-eyed Damsel.” Her unveiling represents the fulfillment of Bahá’u’lláh’s declaration in the Garden of Ridvan and its tangible fruit; namely, a revelation unmediated by the Divine Voice. Once Bahá’u’lláh, becomes one with His muse, He takes up His Pen and sets down the words of His revelation, without being commanded to do so by the Divine Voice. The maid’s recognition of the station of the Pen, Bahá’u’lláh, the “Beloved of the worlds” is reminiscent in tone but also in spirit of Bahá’u’lláh’s account of His own awakening in the Siyyih-Chal, the dark pit of Tehran, where He first became aware of His calling. In what can only be described as an ecstatic outpouring, the Maid recalls the wonder of that moment in which she recognized her Beloved and, the suggestion is, grasped the nature of her relationship to Him as the divine source of inspiration for His pen. The maid’s response here to the love song of the Pen might be ranked with the most ecstatic utterances we might come across in the Writings of Bahá’u’lláh, employing as it does a language that points to the limits of all language in attempting convey the ineffable nature of mystical experience. With these words, the dialogue between Bahá’u’lláh, the Pen, and the Maid of Heaven ends, and the dramatic action reaches its conclusion. Bahá’u’lláh, as Pen, now directly addresses the people of the world, urging them to embrace the message of the Pen: “O people! Seek ye in these days the grace of God and His all-embracing mercy, and beware lest ye follow in the footsteps of every veiled and heedless soul.” This surih, the Pen asserts, is intended to serve as a “summons” to all people to ponder “this blessed and fated account” — namely, the story enacted in the surih, of the unveiling of the Maid of Heaven, the holy spirit, and her union with the Pen. After perusing this surih, readers may feel they have gained a deepened understanding of the challenges Bahá’u’lláh faced during the early years of His mission, as He gradually lifted the veil covering His station and revealed Himself in the fullness of His glory. The dramatic re-enactment in the Surih of the Pen of the glorious inception of Bahá’u’lláh’s revelation and His assumption of His prophetic mission, serves to cast a fresh light not only on the nature of His claims, but also on the opposition presented by those who had difficulty grasping, let alone accepting, the nature of those claims. Bahá’u’lláh’s powerful assertion in this surih of His own burgeoning authority as the Pen of Revelation, might well inspire awe, and, at the same time, offer readers much to consider in reflecting upon the magnitude and scope of His mission. And those who give themselves fully to the reading of this surih, may find their souls lifted to the heights of ecstasy as they contemplate the majesty and grandeur of Bahá’u’lláh’s Pen. * The authoritative translation of Surih of the Pen (Days of Remembrance, Bahá’í World Centre, 2017) is reproduced in full below. This is the Surih of the Pen, which hath been sent down from the heaven of eternity unto them that have fixed their gaze upon His Throne. In the name of God, the Most Wondrous, the Most Glorious! O Pen of the Most High! Bear thou witness, in thine own self, that verily He is God and there is none other God but Me, the Help in Peril, the Self-Subsisting. Bear thou witness, then, by thine own essence, that verily I am God and that there is none other God but Him, that all have been created at My behest and that all abide by My command. Bear thou witness, moreover, by thine inmost being, that this is the Beauty of God which hath dawned above the horizon of the Unseen, a Beauty that hath ever been, and shall ever remain, unknown to all save Himself. He, verily, is the Almighty, the All-Glorious, the Best-Beloved. Through but one of His effulgences the Day-Stars of majesty and grandeur have shone forth, the hearts of the denizens of the everlasting realm and the sanctified realities that lay hid beneath the mystic veil have been called into being, and the secrets of all that was and shall be have been laid bare. O Pen of Command! Be assured in thyself, and reveal then unto all beings a measure of that which God bestowed upon thee ere the creation of words and letters and the fashioning of all things, and ere the establishment of the kingdom of names and attributes and the revelation of His mighty and guarded Tablet. Say: This is a Power unsurpassed from all eternity to all eternity, could ye but know it, O concourse of the Spirit, and this is a Beauty unrivalled from the beginning that hath no beginning, could ye but perceive it. Say: Whoso conceiveth the least design to confront this Pen, to presume partnership with it, to gain intimate access unto it, or to fully grasp that which emanateth from it, be assured that the Evil One doth whisper within his breast. Thus hath the Divine Command been issued, could ye but understand. Say: By God! None hath ever been, nor shall ever be, able to rival Me amidst all creation. Thus hath it been inscribed by the Pen of divine revelation, could ye but comprehend it. Say: A single letter of Mine utterance hath, verily, brought forth the entire universe, the realities of all things, and worlds which none can fathom save God, the Almighty, the Most Manifest. O Pen! Give ear unto that which the unbelievers have imputed to thee. Say: O assemblage of malice! Perish in your hatred, in your envy and your unbelief! By Him Who is the Eternal Truth! This is that Pen through a mere intimation of whose will the souls of the Concourse on high, and the realities of the denizens of the everlasting realm, and the essences of human hearts and minds, were all fashioned. This is that Pen through but a movement of which the sun of might and grandeur, and the moon of loftiness and sanctity, and the stars of grace and favour, were called into existence. This is that Pen through which were created the all-highest Paradise and all that abide therein, and the celestial garden and all that pertaineth thereto, could ye but comprehend. Say: Through but a single stroke have been manifested the knowledge of all that was and shall be, and the creation of all things past and future. Open then your eyes that ye may bear witness to this truth. O Pen! Content thyself with that which thou hast so far intimated to the world of thy sovereignty and power, for the hearts of the envious are well-nigh bursting. Veil, then, thy Cause, and reveal no more than this, for thy words would rend asunder the heavens of ancient glory, and cleave in twain the earth of holiness itself, and cause the inmates of the realm of grandeur to swoon away. Be patient in thy heart, for the people of the world are incapable of beholding thy sovereignty or perceiving thy manifold signs, how much less of recognizing Him Who hath created and fashioned thee through but a single word of His utterance! Exalted is thy Lord above all that thou hast revealed in the past or wilt manifest in the future. Exalted is He above all that His sincere and well-favoured servants have comprehended or will ever comprehend. Content thyself, then, with that which thou hast thus far revealed. I swear by the One True God! Should all that are in the heavens and on earth and whatsoever lieth between them — whether trees, fruits, leaves, twigs, branches, rivers, oceans, or mountains — encounter a single word of thy pronouncement, they would assuredly speak forth that which the Burning Bush, springing from the soil of divine revelation, spoke unto Moses in that holy and blessed Vale. O Pen! Give ear unto the wondrous account of that which God hath graciously bestowed upon thee. Detach thyself, then, from all thou dost possess, and announce unto the people the joyful tidings of the appearance of the Most Exalted Word in this mighty Revelation, that haply they may recognize their Creator and renounce all else but Him. Call then upon the Concourse on high to rejoice, saying: O ye exponents of grandeur sheltered beneath the tabernacle of majesty! O ye denizens of the dominion of power abiding beneath the canopy of glory! O ye dwellers of the kingdom of the seen and the unseen situate in the furthermost precincts beyond the ocean of eternity! O ye manifestations of the divine names in the highest heaven! Let your hearts rejoice in this Most Great Festival wherein God Himself proffereth this most pure chalice unto such as stand before Him with beseeming lowliness and humility. Adorn, then, your souls with the silken vesture of certitude and your bodies with the broidered robe of the All-Merciful, for lo, a light hath dawned forth and shone resplendent from the horizon of My brow, before whose revelation all that are in the heavens and on earth have bowed down in adoration, could ye but perceive it. Say: I swear by the one true God that there hath never appeared in all creation another like unto Him. Whoso asserteth otherwise hath gainsaid the testimony of God and is accounted among the faithless in His mighty and well-guarded Tablet. Say: This is the Light through which the inhabitants of the celestial world and their inner realities have been brought forth, and through which the embodiments of the heavenly realm and their inmost essences have been raised up. This is the Light through which God hath created worlds that have neither beginning nor end, worlds whereof none hath the slightest intimation save those whom their Lord hath willed. Thus do We disclose unto you the hidden mysteries, that haply ye may ponder the signs of God. Say: This, verily, is the Light before whose effulgence every head hath bowed down in lowliness, and before whose manifestation the hearts of the well-favoured of God, and the souls of His holy ones, and the inmost realities of His true worshippers, and beyond them His honoured servants, have prostrated themselves in adoration. O inmates of the holy sanctuary! I swear by God! He in very truth is the Sanctuary of God amongst you and His sacred Precinct in your midst, the holy Site of the Spirit before your eyes and the Station of both inner and outer peace and security. Take heed lest ye deprive yourselves of the Sanctuary of His knowledge. Hasten unto Him and tarry not. This is that Sanctuary round which circle the Manifestations of the Divine Being and the Embodiments of His eternal Reality, and whose court God hath hallowed beyond the reach of the outcast and the ungodly. This, verily, is that Sanctuary the blessing of whose service is sought by the Maids of Heaven, and them that dwell in the depths of the Most Great Ocean, and them that abide in the habitation of holiness and the realm of reunion — and yet the people, for the most part, comprehend not. O denizens of earth and heaven! Abandon your couches and undertake the Most Great Pilgrimage for the sake of this pure and refulgent Beauty. Should God witness your inability to do so, He will exempt you therefrom and command you instead to approach Him with heart and soul. And they alone shall attain this who behold all that is in the heavens and on the earth as a day wherein none was deemed worthy of mention. These are they to whom their Lord will give to drink, from His own hands, of the sealed wine of holiness. Verily, whoso turneth his face towards this most blessed and luminous Spot, round him shall circle resplendent suns whose effulgence knoweth neither beginning nor end, and above the horizon of his heart there shall dawn that Sun of suns before Whose light the orbs of worldly names are wrapped in darkness, if ye be of them that understand. O Pen! Proclaim unto the concourse of eternity, saying: O ye that rove in the arenas of immortality! O ye that abide beneath the tabernacle of grandeur! O ye gem-like realities that lie hid from the eyes of creation! Descend from your lofty retreats to celebrate and rejoice, and to quaff from the cup of everlasting life that the hand of the All-Glorious is proffering on this Day. This, in truth, is a Day the like of which hath never been witnessed in all creation, a Day whereon the Eye of Grandeur hath been cheered in the Seat of transcendent glory. O ye bearers of the throne of God! Adorn the most great throne on this Day, for the unseen Beauty hath appeared — He Whose presence the inmates of the all-highest Paradise and the dwellers of the garden of repose have thus far been powerless to attain. Say: By God! The Hidden Secret hath appeared in the plenitude of His glory and hath solaced by His beauty the eyes of all things seen and unseen, and beyond them the eyes of them that have cleansed their souls with the holy waters streaming from the ocean of the Name of their Lord, the Most Manifest. Say: This is a Day whereon God hath made His own Self known and revealed it unto all who are in the heavens and on earth, a day whereon He hath established His sovereign ascendancy over the kingdoms of revelation and creation. How exalted, then, is this holy, this most blessed and best-beloved grace! This is a Day, moreover, whereon the Ancient Beauty hath appeared with such an adorning as to cause the veils to be rent asunder, and the mysteries to be revealed, and the fruits to spring forth, and all things to utter the praise of their Lord, the Unconstrained — a Day whereon the earth and all that it holdeth, and the heavens and all that they contain, and the mountains and all that they conceal, and the oceans and all that they treasure in their depths, have laid bare their secrets, though the people remain veiled therefrom. This is a day whereon the idols of misbelief and worldly desire have been shattered and the Ancient Beauty hath ascended His mighty throne. The Spirit of glory hath called out from the precincts of eternity, and the Most Holy Spirit from the Divine Lote-Tree, and the Spirit of command from the Tree beyond which there is no passing, and the Spirit of might from the exalted dominion, and the faithful Spirit from the right hand of the Burning Bush, saying: “Hallowed be the Lord of mercy, Who hath appeared in the world of existence invested with that which mortal eyes had never beheld!” Say: He it is Who through a movement of His finger causeth the creatures of earth and heaven to perish, Who through a word of His mouth bringeth them to life again, and Who through a mere intimation of His glance turneth all creation unto the presence of God, the Help in Peril, the Almighty, the Best-Beloved. Say: O concourse of monks! Abandon the churches wherein ye have glorified your Lord, for He Who ascended unto heaven hath in very truth come down again and circleth round the Throne of God. I swear by the one true God! In this Day the bells are pealing out in My remembrance, the Trumpet soundeth My praise, and the Bugle proclaimeth My Name, the Help in Peril, the Self-Subsisting. Deprive not yourselves of the grace of this day; hasten rather to the seat of the Throne, forsake that which ye possess, and take fast hold of the Cord of God, Who hath arisen and manifested Himself and spoken forth for all to hear. 13. O inhabitants of the realms of the seen and the unseen! Sing, O sing the most joyous melodies on this Festival of God which hath appeared with the power of truth and to which the former and latter generations had never attained, could ye but know it. This is the Day whereon the Pen of God hath absolved all who are in the heavens and on earth. Thus hath His eternal command shone forth from the dayspring of His Pen, that ye may rejoice in your souls and be of those whose hearts are gladdened. O people! Seek ye in these days the grace of God and His all-embracing mercy, and beware lest ye follow in the footsteps of every veiled and heedless soul. Thus the summons of the Pen regarding this blessed and fated account endeth, in this Tablet. Bio: Sandra Lynn Hutchison is the author of two books: Chinese Brushstrokes (Turnstone Press, 1996), a collection of stories about China in the prelude to and aftermath of the Tiananmen Uprising, and The Art of Nesting (GR Books, 2008), a book of poetry. Her stories have been anthologized in a variety of publications, including Chinese Ink, Western Pen: The Oxford Anthology of Stories About China (Oxford U. Press, 2000). 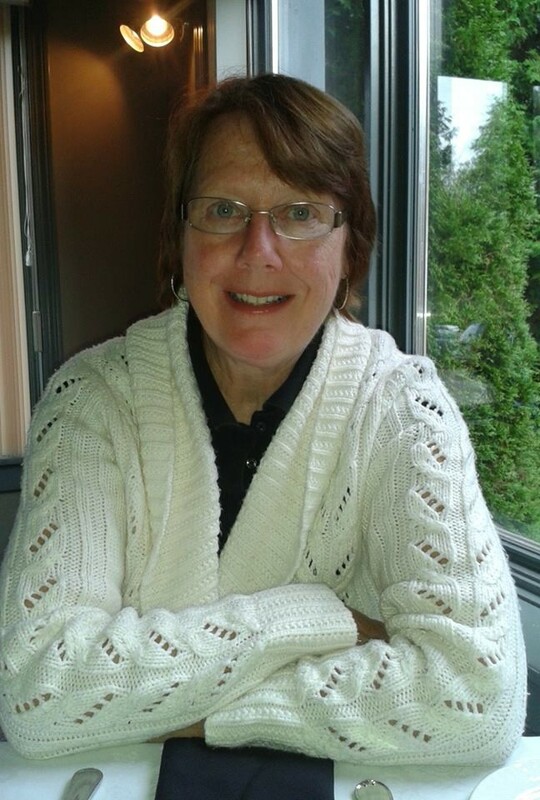 She holds a Ph.D. from the University of Toronto in English literature and has been the recipient of various academic and literary awards, including a Killam Postdoctoral Fellowship, an Emily Dickinson Poetry Prize from Universities West Press and a Jane Kenyon Poetry Scholarship from Bennington College, where she did work towards an MFA in Poetry. She lives and teaches in Orono, Maine, where she is working on a memoir and a novel.